As the holidays approach, it is time to winterize and organize your garage or trailer. Invest in quality cabinets that are guaranteed to last a lifetime to protect all your tools, old and new. Perhaps it may even be time to protect any new additions to the family from hazards that can be found in a garage or trailer. 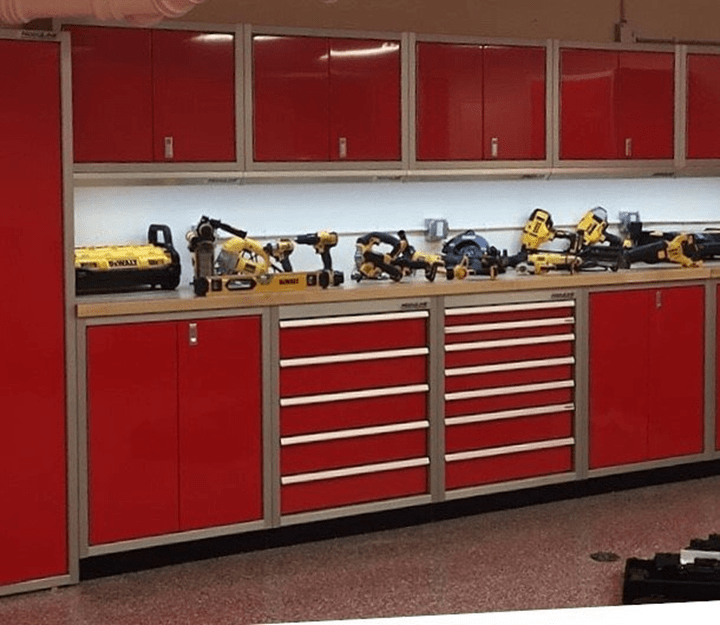 Moduline Cabinets offers some of the best modular aluminum cabinets on the market to safely store and protect all your tools, car parts, and any other items. We offer an unsurpassed quality of the very best in custom designed layouts coupled with a lifetime warranty. Our PROII™ SERIES are designed to custom meet the needs that dreams are made of. With our highly sought after attention to detail and components. 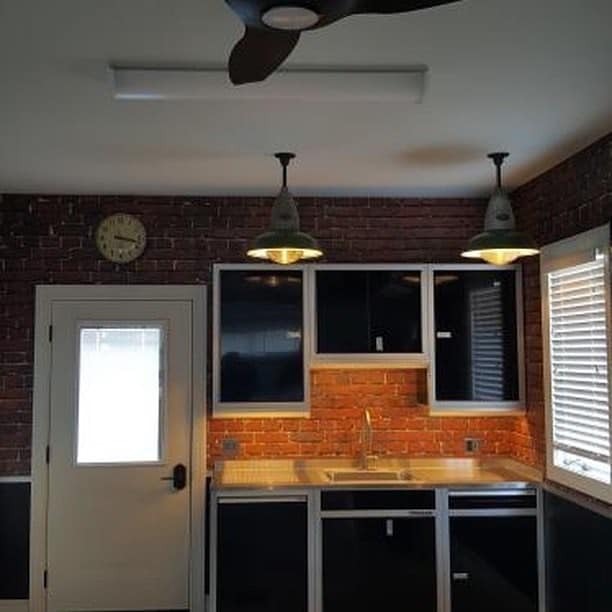 If you want to throw in the kitchen sink, we can design an amazing aesthetic with that included as well. Our Quickdraw™ Single Action Latch System and adjustable Toe Kick Riser™ have made our modular aluminum cabinetry the pinnacle for garage, shop, and enclosed trailer options. You may also wish to view our line of accessories like our assortment of PROII™ SERIES adjustable aluminum shelving, garage cabinet and trophy shelving, light shields, LED Lighting, Power Grids, workbench mats, drawer dividers and liners. Don’t miss out over the holidays for your opportunity to impress your family and friends with an organization and visual appeal that is guaranteed to last a lifetime. 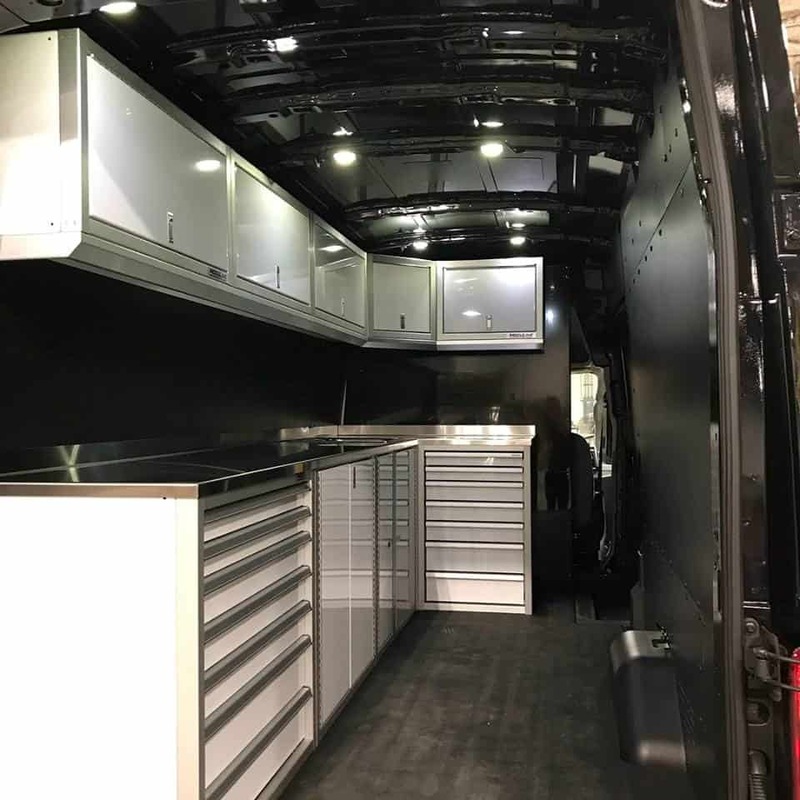 At Moduline Cabinets, we take pride in our designs and fit our modular aluminum cabinets in specialty vehicles, race trailers, command centers, military vehicles, emergency vehicles, utility trailers, containers or whatever your chariot or sleigh may be. Our PROII™ SERIES of cabinets are geared to meet the most custom of design demands. Our SPORTSMANII™ line of mobile cabinet features are more economical, simple to order, and easy to ship. Don’t ring in another New Year without viewing our trailer and vehicle cabinet combinations and contacting us to assist with your layout. Moduline Cabinets helps to increase your organization and work efficiency with our vehicle and trailer cabinets. Our hard-working Cabinet Specialists are delighted to help you with selecting the best design and components for your project. See our special deals and offers, or call for a complimentary design consultation at 888-343-4463.